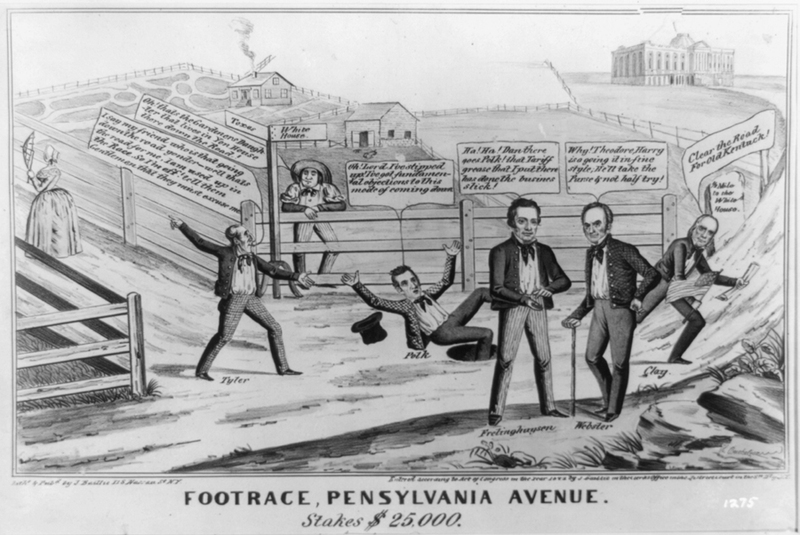 According to the summary of this political cartoon, who were the three candidates for president in 1844? What was the president’s salary at this time? What is the president’s salary now? According to the cartoon summary, who is the favored contender? What details in the cartoon—positioning, symbols, text labels—support this view? Use the Primary Source Nexus search box to find information about the candidates to learn who won the 1844 presidential election.